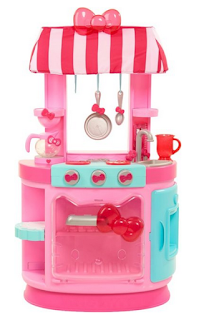 Best Buy has the Hello Kitty Kitchen Cafe on sale for just $34.99 (regularly $89.99). Cook up some imaginative fun with this Just Play Hello Kitty Kitchen Cafe playset. Featuring a light-up stove and plenty of cooking accessories, this playset gives kids everything they need to start their own cafe. 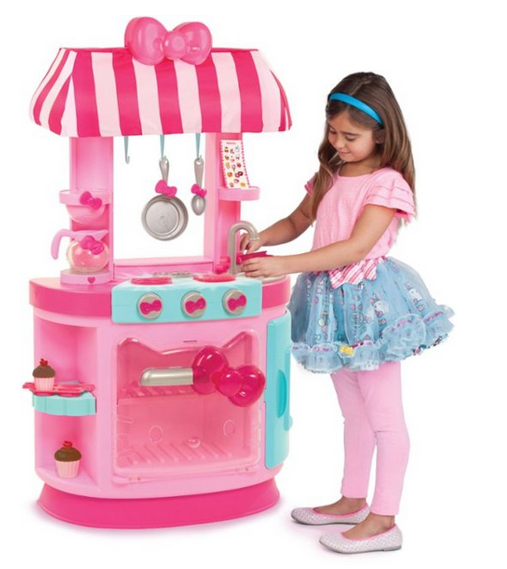 Features an oven with a removable rack and clear door for pretend baking.